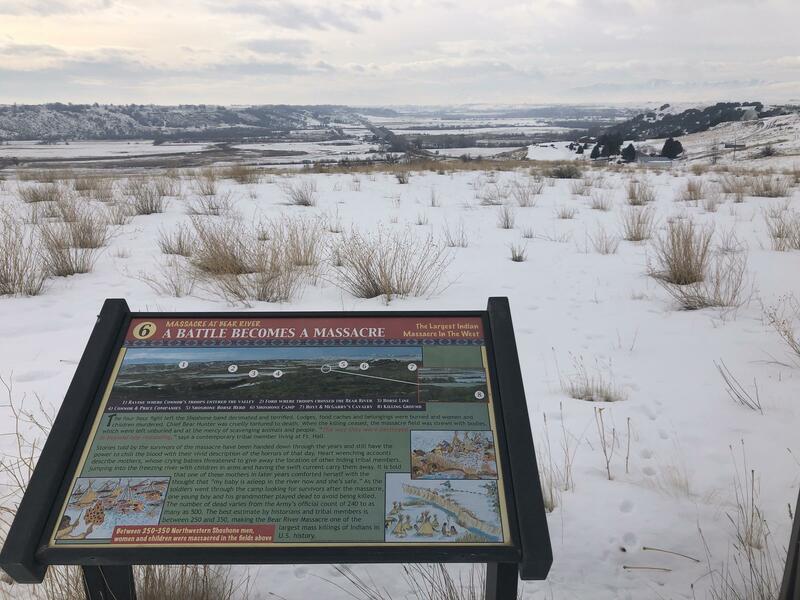 The only official markers of the massacre today are plaques erected on a rock pillar by The Daughters of Utah Pioneers as well as National Park Service interpretive signs at the pull out in the Cache Valley along highway 91, just outside Preston, Idaho. 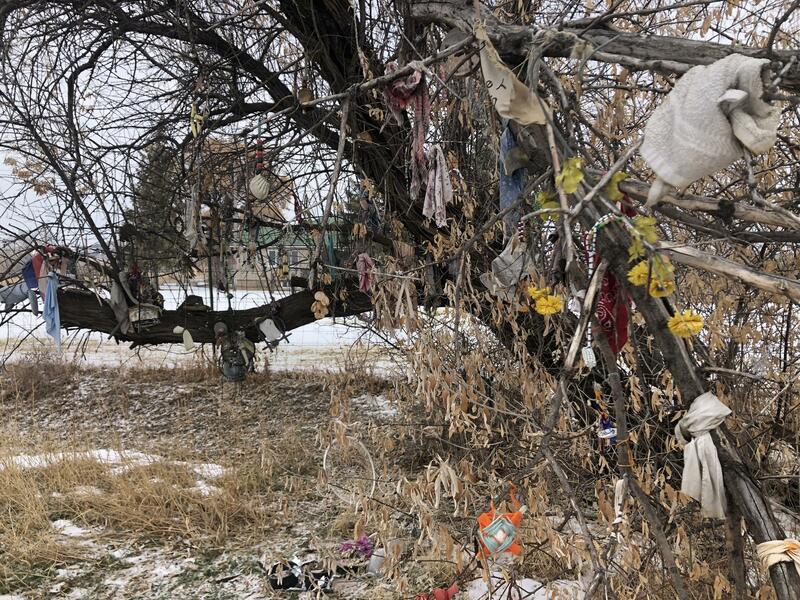 PRESTON, Idaho — Alongside Idaho State Highway 91 just north of the Utah border stands a prayer tree, its branches tied with remnants of faded cloth. Members of the Northwestern Band of the Shoshone and others, numbering in the hundreds, have gathered here in the Cache Valley to drum and to grieve. They are here to mark the anniversary of a tragic event, considered by some to be the largest massacre of Native Americans in the history of the American West. Mourners have left remembrances at a prayer tree at a pull out along highway 91 nearby the site of the Bear Massacre in the Cache Valley, just outside Preston, Idaho. On January 29, 1863, the U.S. Army killed most of the Northwestern Band of the Shoshone at a place called Bear River. Today, a line of cars and pickups stretches along both sides of the roadway where the crowd listens attentively to Darren Parry, the chairman, or chief, of the Northwestern Band of the Shoshone Nation. For years, Parry has been working from his office in Brigham City, to build awareness about what happened to his people here. Parry, who is 5’8” and stocky, says he is about the same build as his third great grandfather, Shoshone Chief Sagwitch, who survived the massacre. 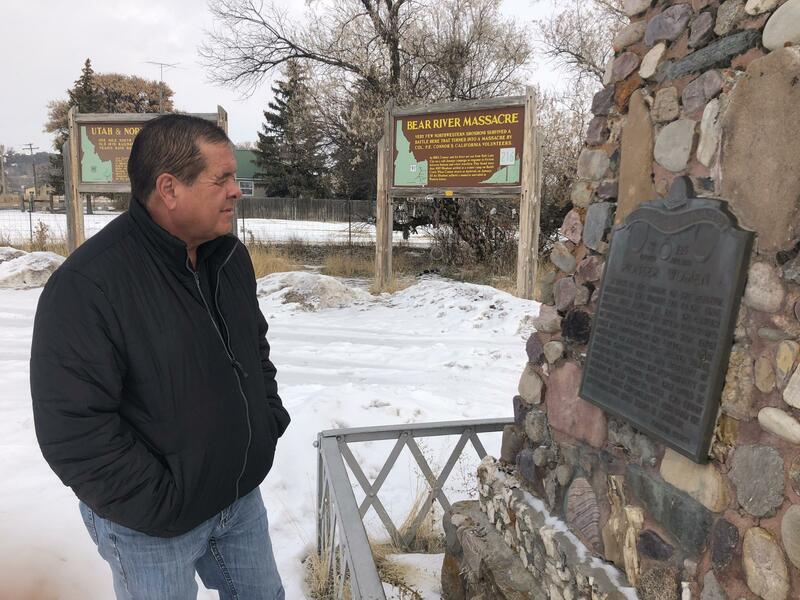 Darren Parry reads a sign at the memorial site of the Bear River Massacre. Before the event, Parry gave a tour of the site of the massacre, leading the way down a country road off the highway. There, he explained that the snow-covered field before him holds more than meets the eye. 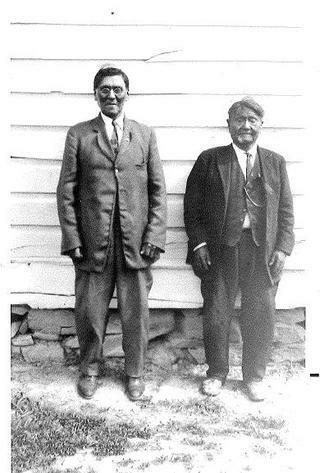 Chief Sagwitch Timbimboo, Darren Parry's third great grandfather survived the massacre. 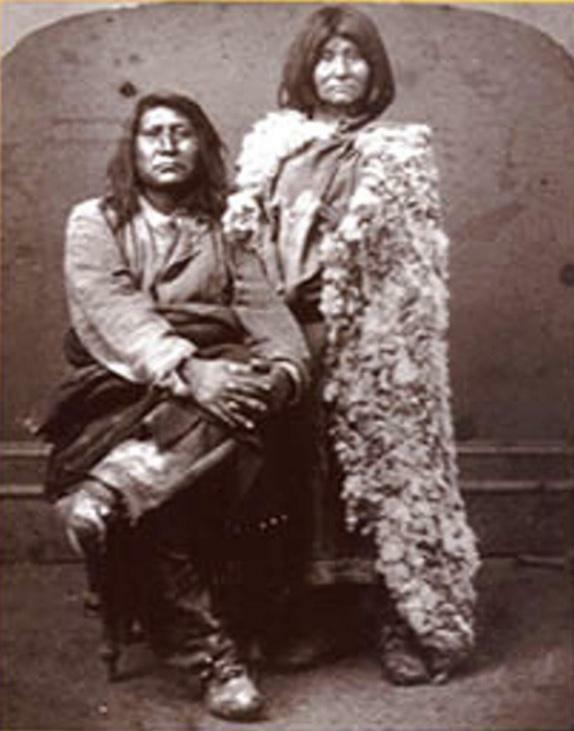 He's pictured here with Bewochbe, Chief Bear Hunter's widow, whom Sagwitch married after Bear Hunter was killed at the massacre. Sagwitch's wife was also killed there. Photo Courtesy of the Northwestern Band of the Shoshone Nation. Parry’s vision is to build an interpretive center to explain what happened here and share the tribe’s story. But for now, the site is marked in other ways. The Daughters of Utah Pioneers erected two plaques on a rock pillar beside the highway, one in 1932 and another in 1953. The National Park Service also put up interpretive signs nearby in 1990, after Parry’s grandmother, Mae Timbimboo Parry, petitioned the federal government. 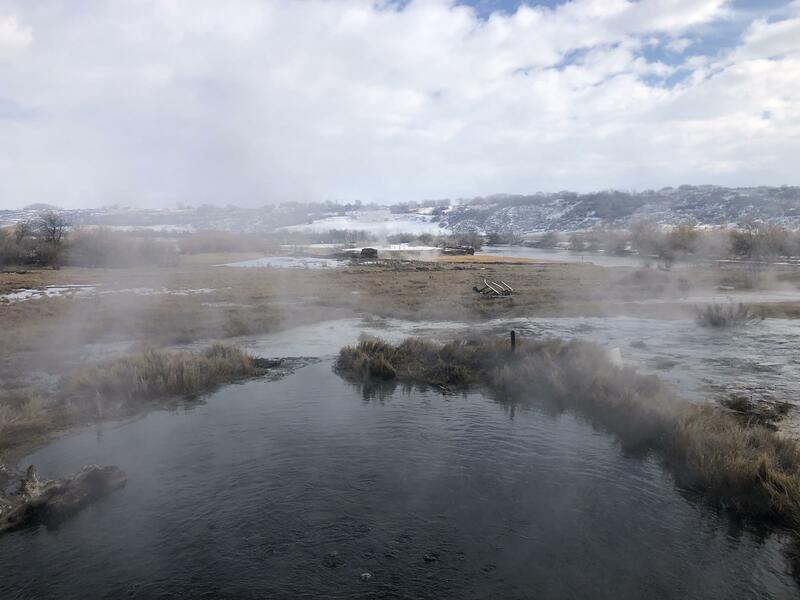 Hot springs line the Bear River near the 1863 site of the traditional winter camp of the Northwestern Band of the Shoshone in the Cache Valley, where the massacre took place. The Cache Valley is protected from harsh winds, and its rivers are lined with hot-springs. For eons, it was the homeland of the Northwestern Band of the Shoshone. the grasslands were rich with deer, elk, moose and bison. Edible plants like wild potatoes and chokeberry, cattail bulbs, sego lily, elderberry and wild current, also grew prolifically in the area. The land was sacred for Parry’s ancestors, he said, and the perfect spot for a winter camp. During the mid-1800s, Mormon settlers began encroaching on the tribe’s territory from the south, while immigrants on their way to California and on the Oregon Trail brought additional pressure. In the middle were the Shoshone led by Chieftains Sagwitch, Pocatello and Bear Hunter. There were skirmishes with settlers as Native Americans, who didn’t have any concept of personal property, stole horses and killed cattle for food. Settlers expanded north, building homes, bringing cattle and erecting fences. They also began hunting wild game, which reduced the size of herds, taking away the Shoshone’s prime spots for gathering wild food. Settlers wrote letters to Brigham Young in Salt Lake City to complain about conflicts with the Shoshone. Some of those letters were sent to a federal judge who ordered arrest warrants for tribal leaders. 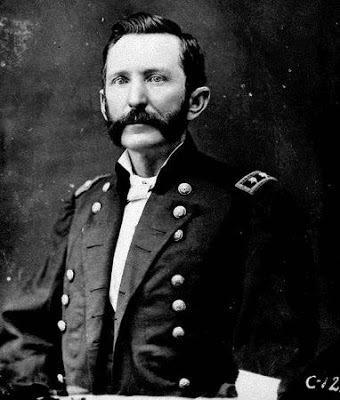 Col. Patrick E. Conner’s California Volunteers were sent to make arrests. The Army, stationed at Camp Douglas to guard the overland trail and telegraph route during the Civil War. Soldiers were also positioned to keep an eye on the Mormons, whom the federal government had deemed unamerican and distrusted. The view from an interpretive sign about the massacre, along highway 91, between Preston and Pocatello, Idaho. In the early morning on January 29, 1863, in frigid temperatures, Connor’s troops arrived at the rim of the valley on the backs of more than 200 steaming horses. Survivor accounts of the massacre, shared through tribal oral histories, tell of a merciless attack, Parry said. “It was decided after an hour of the battle that to save on ammunition that instead of shooting babies and children … dismount … grab them by their ankles and … swing them around and bash their heads out, their brains out on the rocks,” he said. 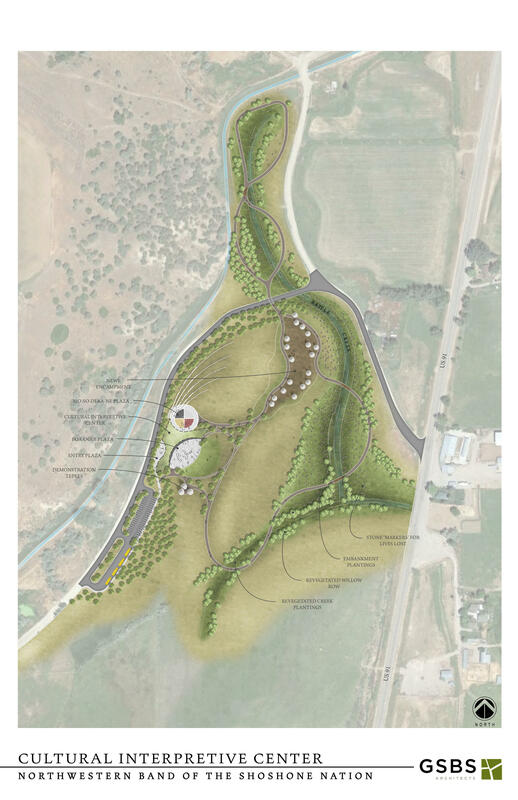 Salt Lake City-based GSBS Architects designed the Cultural Interpretive Center for the Northwestern Band of the Shoshone Nation. The tribe is raising funds to build the center and hopes to break ground on the project by 2020. This version of events differs from military historical records. Within hours the soldiers had killed hundreds. Historical figures vary, ranging from 224 — the official report by Connor — to a settlers’ report that pegged the number at almost 500 dead. For his near annihilation of the tribe, Connor was promoted to brigadier general. Paul Reeve, a University of Utah history professor who focuses on the Mormons, Utah history and the American West said Bear River is the largest single massacre of Native Americans in the trans-Mississippi west. But hardly anyone knows about it. “It’s frustrating to historians who study Utah History, who study the American West that even textbooks of Native American history sometimes fail to include it,” he said. As American power and population grew in the 19th century, the United States gradually rejected the main principle of treaty-making — that tribes were self-governing nations — and initiated policies that undermined tribal sovereignty. That included raids taking place between Mormon communities and the Native Americans, Reeve said. Reeve said that there was ongoing tension among different groups — miners traveling west in search of wealth, Mormon settlers occupying traditional Native American lands, federal forces that were stationed in the West during the Civil War — that overlapped in a horrific sequence of events that led to the Bear River Massacre. Around 150 members of the Northwestern Band of the Shoshone survived. Many converted and became members of The Church of Jesus Christ of Latter-day Saints, including ancestors of Parry and Patty Timbimboo-Madsen. “We need to remember those that were lost, but be thankful for those who lived through it,” said Timbimboo-Madsen, who is working alongside Parry to ensure the story of what happened at Bear River isn’t forgotten. “It’s important for our children to know and understand. The tribe has strategically bought up the land — roughly 700 acres — on which the massacre took place, with the intention of building an interpretive center to educate the public. Tribal members have raised $1.5 million of the $5 million needed to construct it. Parry hopes to break ground on the project by 2020. The Church of Jesus Christ of Latter-day Saints and the state of Utah both plan to contribute funds. As Parry looks out over a field of snow under which lay his ancestors’ bones, he explains his grandmother told him that in the evening, you could sit and hear the little ones killed there crying among the willows. Parry said the Bear River Massacre has taught him the importance of forgiveness, but, it has also brought home the importance of not forgetting. A person, and a nation, can only begin to heal from something when they completely understand it, he said. Truth and reconciliation, two things Parry explained he hopes are possible, at least in his corner of the American West. Native American activists and their supporters will gather outside Wellsville City Hall on Wednesday to rally against the city’s controversial Founder’s Day “Sham Battle” between Mormon settlers and a Native American tribe. The fate of a Utah town’s controversial historical re-enactment is up in the air after city officials pledged to make changes to the event.